Mass-spectrometry-based proteomics is continuing to make major contributions to the discovery of fundamental biological processes and, more recently, has also developed into an assay platform capable of measuring hundreds to thousands of proteins in any biological system. The field has progressed at an amazing rate over the past five years in terms of technology as well as the breadth and depth of applications in all areas of the life sciences. Some of the technical approaches that were at an experimental stage back then are considered the gold standard today, and the community is learning to come to grips with the volume and complexity of the data generated. The revolution in DNA/RNA sequencing technology extends the reach of proteomic research to practically any species, and the notion that mass spectrometry has the potential to eventually retire the western blot is no longer in the realm of science fiction. In this review, we focus on the major technical and conceptual developments since 2007 and illustrate these by important recent applications. 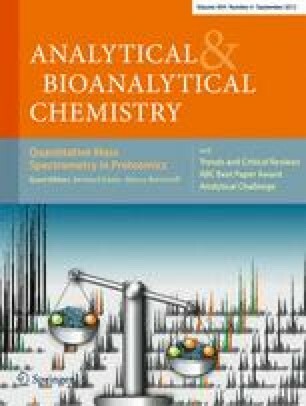 Published in the topical issue Quantitative Mass Spectrometry in Proteomics with guest editors Bernhard Kuster and Marcus Bantscheff. The authors wish to thank Frank Weissbrodt for help with creating the graphics. We apologize to all authors whose interesting work could not be cited owing to space or conceptual constraints.